The Scott Willcox Big Band - Big Band Jazz at its best! 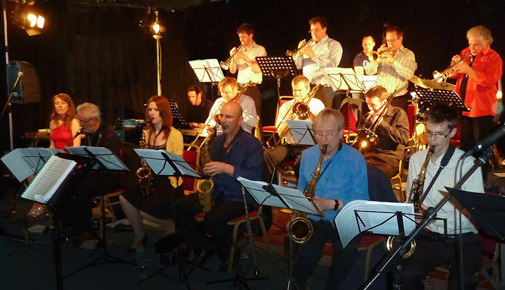 The Scott Willcox Big Band features some of the UK's leading jazz musicians. On Sunday 7th April the track Listen Up featuring Georgia Mancio was played on the JazzRadioLondon.com's regular big band slot on Sunday evening. The new CD from Scott with a stellar line-up playing an eclectic mix of tracks. Available now from Scott Willcox. For more information and track samples see the CD page. Read the full review on the London Jazz News web site. 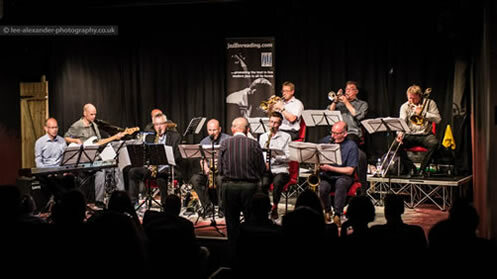 “Elated from the experience of playing some extremely challenging, impossibly written, highly original music as a member of Scott Willcox's 10-piece to a very appreciative, full audience at The Progress Theatre, Reading. We really made it happen! 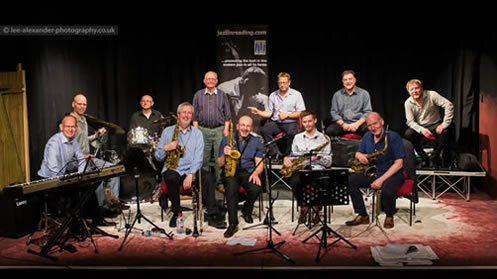 What a true privilege to share such a joy with incredible musicians [David Frankel (piano), Ben Hazelton(bass), Eric Ford (drums), Andy Gibson and Gabriel Garrick(trumpets), Tony Woods, Bob Mackay, Duncan Eagles, Julian Costello (saxes)]. 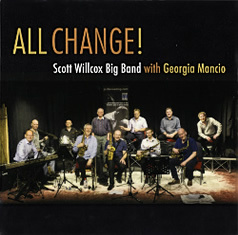 The Scott Willcox Big Band features some of the UK's leading jazzers and has won much acclaim since its debut in 2007. Scott writes the charts for the band. Some of his players who played with George Russell when he visited the UK have said that Scott's music reminds them in places of George Russell's writing. The band's second CD, Go For It, was launched at the Spice of Life, Soho, on Wednesday 24th July 2013. The album features compositions and arrangements by Scott Willcox played by an all-star line up which includes Gabriel Garrick, Chris Biscoe, Pete Hurt, Andy Gibson and Tony Woods. The CD is available on Marquetry Records. “Imaginatively arranged and conducted, and impeccably played by an ensemble of highly accomplished musicians ‘Go For It!’ represents a hugely enjoyable big band album. Willcox keeps the virtues of swing and sweetness but deploys them in a contemporary context with consistently interesting rhythms and arrangements in an admirably diverse and well programmed set. 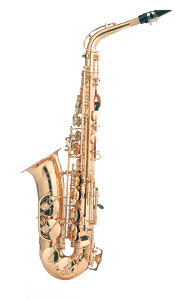 In July 2012 they appeared as part of the Sunbury and Shepperton Arts Festival with a line-up of five saxes, four trumpets, three trombones, rhythm section and two singers. Sunbury and Shepperton Arts Festival review. 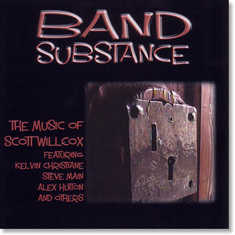 The band's first CD, Band Substance, was launched at The Bulls Head, Barnes in March 2008. A new album 'Go For It!' will be released in autumn 2012. 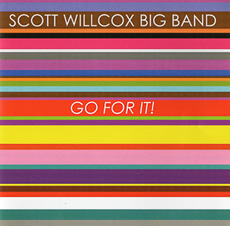 The Scott Willcox Big Band is available for performance in the South of England. Please get in touch with us if you would like to discover more about what we do or if you would like to book a concert. The band's music director, Scott Willcox, is featured on Cross Rhythms radio, along with some of their music. See his artist's page on their web site. You can also buy Scott's albums from Cross Rhythms.